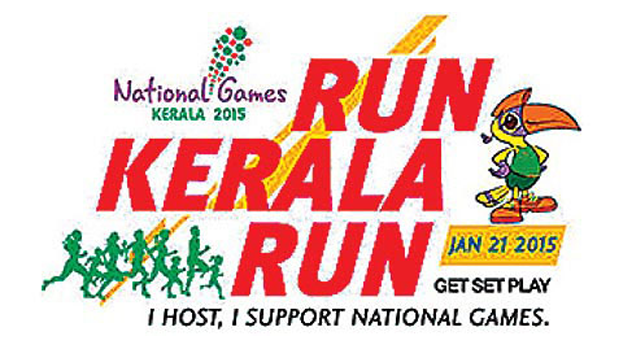 Run,Kerala Run’, the curtain raiser to the 35th National Games, ‘ran’ into history which was held across the state. The mass race at all the 21 mega points, 226 mini mega points and over 10,000 ordinary points equally attracted an remarkable crowds, notably in Thiruvananthapuram and Kochi where the star attractions were cricket icon Sachin Tendulkar and actor Mohanlal. AISAT also pledged its support and participated in this historic moment. Rev. Dr.Clement Valluvassery, Manager, AISAT handed over the mini marathon jersey to the student representative. AISAT’s faculity members and students gathered around the Govt. 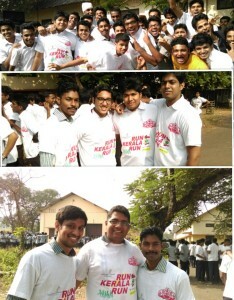 polytechnic College,Kalamassery (start point) at 10 am and was flagged off to a point-to-point mini marathon till municipal hall Kalamassery (end point).Olympians M.D. 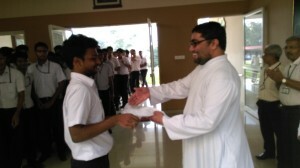 Valsamma and Mercy Kuttan were the special guests for the event.